Beloved Canadian twin pop duo Tegan & Sara open up about their evolution as musicians and sisters, why – as they advocate for LGBT rights – they don’t want to get married, and their respect for pop artists like Justin Bieber and Taylor Swift. The sisters who grew up in the 1980s idolizing Bruce Springsteen have become a musical icon themselves, as their worldwide Love You To Death tour concludes this November. Speaking about their singing career, they remember friendly advice from the past- such as the producer who told them they would make their best music in their 30s and 40s- and comment on direction of their present, with a shift from indie into pop that they say has been more gradual than the critics claim. 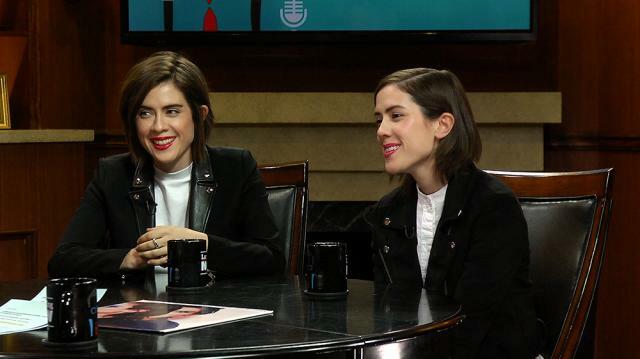 Tegan and Sara also reflect on their own identities and the questions they are most often asked as lesbian twin sisters. As identical twins, do they share each other's thoughts or feel each other's pain? As sisters and creative partners, is their friendship still stable? And is it true that women who were previously straight tend to fall for them? The sisters answer these common questions and more. Plus, they give their opinions on the state of LGBT rights in both their native Canada and the US, on the ever-popular Prime Minister Justin Trudeau, and on why the American election is so hard to look away from.